GCH. Ivy Hills Swinging On A Star - "Clare"
Clare won fourth in the Bred by class during regionals and second in the Bred by class during the 2011 Nationals! 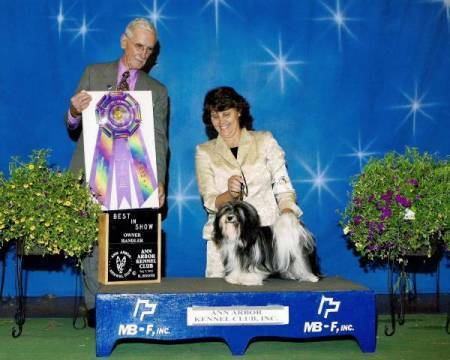 She then went on to win AOM at the 2012 Nationals and is the first Havanese to win a Owner Handler Best In Show.